Chad Spann began his career as a walk-on and ended it the MAC MVP. 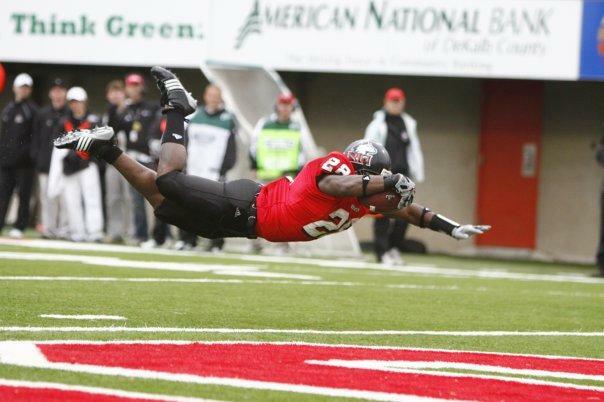 If you’re not familiar with running back Chad Spann or you are relatively new to this blog then you might not have seen the film study series that the 2010 college football touchdowns leader did with me. Beginning Monday, I’ll be posting the first of a three-part series where Spann provides RSP readers a glimpse into the Indianapolis Colts training camp and preseason. It’s an enlightening look into the small, but highly regarded (despite the Colts current record) corner of professional football.